When it comes to upselling – knowing your customer and timing is everything. Let’s look into the key factors to generate more revenue for your hotel. By the definition: upselling gives the hotel an opportunity to suggest additional services that will enhance the guest stay. It is key to increasing hotel profitability and guest satisfaction. According to a national consumer survey commissioned by Fusion and conducted by Ipsos Public Affairs research, they found that 61% of consumers would be open to spending more if an additional service compliments or enhances their main purchase. If you are working in a small hotel and you think there is nothing to offer to the guest, please think again. The small hotel has good chance to offer many services, for example, try to offer the best bottle of wine for guest, pre-order transfer, restaurant reservation etc; These are the services that you can make guest happier. If you wish to make much more money you need to bring in a third-party business. Offering guest to book the city tour, adventure trips, day spa, boat ticket. These will benefit your hotel in many ways. Besides helping guests to have the best experience you also can make the profit. To find more inspiration, which could be the best activities to offer to guests you can visit Viator.com. From our research shown that by offering the additional services in advance will help guest to plan their trip better and improve the quality of guest stay. To upsell effectively, the first thing is to determine what are the products or services you wish to promote. And then try to understand what are your guest needs. It’s important to offer appropriate product or services that meet a customer’s need. 1. Food and beverage: Try to encourage guests to celebrate special occasion more often. With a good selection of champagne, wine, fresh fruit, and handmade chocolate will stimulate the guests to order more. 2. Spa packages: It is very common that guest would like to relax after a long flight. The hotel can offer classical massage on the first day. And make sure you give an opportunity to the guest to book more body treatment the next day. 3. Room upgrades: If guest booked a standard room which is cost 70€ then two days before the arrival date, a hotel can make a special offer to a guest to upgrade their stay. For example with the price of 20€, they can upgrade to the deluxe room (this is on top of what customer has already paid). The price feels smaller for guest, thus it is easier to get the customer to pay for the upgrade. 4. Room special features: Room with a balcony and king size bed is ideal for newlyweds. But for children, the bathtub is a must. This simple element can really make a difference of overall satisfaction. 5. Preferred views: Ocean View Room to Ocean Front Rooms. If guests prefer a good view they should be able to select the best type of room. Providing the guest with more options to upgrade the room where they can choose to stay near the beach or at the beach. 6. Exclusive offers: Offering additional room services such as breakfast in bed, birthday decoration, flowers. Guest needs to pay extra but it will create a memorable experience for the guest. 7. Transfer: From business travelers to leisure travel group, they do need good transportation. The hotel can help the guests start a great journey by providing suitable transportation directly from Airport to Hotel. 8. Leisure and amenities: Promoting the city tour, tennis court, bicycle rental, gym, sauna room, and activity that suit your guest. If you know that the guest coming to the city for the first time then you can send out a private city guide offer. And if they are coming with friends you can offer the sauna and beer! 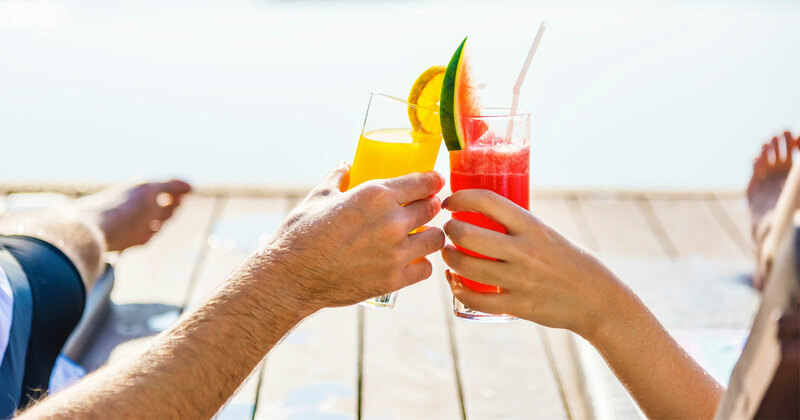 Conclusion, by knowing your guest and offering the right service to the right guest is the key to increase guest satisfaction and hotel revenue. For the smaller hotel, it can be challenging. However, there is a solution to this. The hotel can partner with local service providers that support the guest’s interest. This will help hotel that has limited of additional service to earn more money. Remember, it is very important for the hotel to provide the best service its guest. Book a free hotel up-selling and review solution online presentation today!